Complexity, unaccountability and opaqueness are generally recognised as characteristics of the financial markets that contributed to their collapse in 2008. They also played their part in the previous years of plenty. 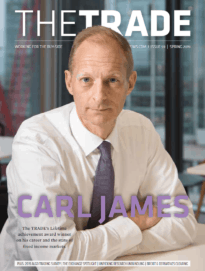 Several articles in the Q1 2013 issue of The TRADE – which goes to press today – confirm that we are now in an era of greater simplicity, oversight and transparency. This shift brings many advantages both to financial market participants and their end-clients in the wider economy, but also some risks. According to The TRADE’s sixth annual Algorithmic Trading Survey (results of which are covered in-depth in our Q1 2013 issue), the buy-side values algorithms that do the simple things well, i.e. adding to the bottom line by boosting trader productivity and lowering costs. At the same time, users are scrutinising algo performance in greater detail, probing brokers for evidence that their orders are being handled to the highest standard. As Peter De Proft, director general of the European Fund and Asset Management Association notes in this issue’s industry profile, transaction and other costs are closely monitored by the buy-side’s institutional clients, who are also wary of potential complexities and conflicts arising from securities lending, while retail products are being simplified and their users being educated to avoid the disappointments and mis-selling scandals of the past. A fair deal for consumers is also behind the UK Financial Services Authority’s efforts to end the conflicts of interest that arise from using commission payments to pay for corporate access services. As well as our market report on this topic, the Q1 2013 issue of The TRADE also offers the views of our new columnist Richard Balarkas on commission management. Commercial relationships and transactions based on full disclosure of the relevant data are the essence of any market. But transparency can be a straightjacket. As our cover star, Dexia Asset Management’s global head of trading, Fabien Oreve, points out, having to disclose too much price information can tip the market against you. 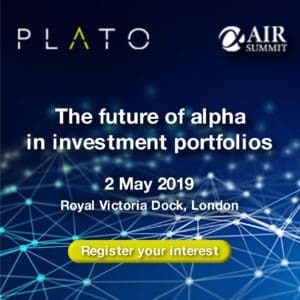 “MiFIR proposals to publish pre-trade prices on a continual basis will clearly be detrimental to institutional investors in fixed income because it will significantly widen bid-offer spreads. The indicative composite prices currently available on multi-dealer trading platforms provide sufficiently informative and cost-efficient information for large institutional investors,” he comments in this issue’s Q&A buy-side interview. In a risk averse and nervous climate, too much openness and too few rewards for taking risks will stymie, not stimulate, market activity.